Rainier Beach is part of south Seattle and is located along Lake Washington. There are a number of parks in the area including Beer Sheva Park, Kubota Gardens, Lakeridge Park, and Pritchard Island Beach. Homes for sale in Rainier Beach are mostly older single family or newer condos. Rainier Beach is served by the Sound Transit Link rail system with routes to the airport, downtown Seattle, and other stops in the Rainier Valley area. 2 Beds | 1 Baths | 1170 sq. Ft.
3 Beds | 3 Baths | 1570 sq. Ft.
4 Beds | 2.75 Baths | 2440 sq. Ft.
4 Beds | 2.5 Baths | 1995 sq. Ft.
4 Beds | 1 Baths | 2310 sq. Ft.
4 Beds | 3.5 Baths | 2950 sq. Ft.
3 Beds | 1 Baths | 2460 sq. Ft.
Blue Summit Realty has the most accurate and up to date Rainier Beach real estate listings on the web. Currently there are 12 homes for sale, and 3 vacant land properties in Rainier Beach. Of the 15 total Rainier Beach residential listings for sale 0 are bank owned, 0 are short sales, 0 are new construction, and 0 are townhomes. The price ranges from $425,000 to $0 with a median list price of $892,725 and median sold price of $480,746. Make sure to refine your Rainier Beach real estate search by property type, price, square footage, bedrooms, bathrooms and more with the search tool above or view the Rainier Beach listings on our interactive map. 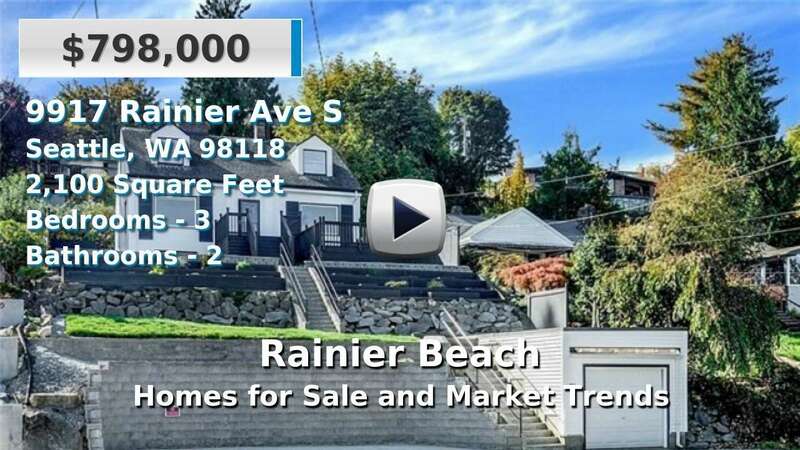 Our Rainier Beach real estate listings were updated 25 minutes ago.